About thirty years ago, I fell in love. Horror movies and fantasy RPGs -- these were my passions, and they remain so to this day. Naturally, these interests fueled one another. Demonic maniacs like Freddy Krueger began to influence my gaming style. Think of it -- as an LotFP Referee, you are all-powerful, like Krueger in his dream-world domain. You present the player characters with horrors, and they are subjected to nightmares and torments. Perhaps they die in agony; perhaps they escape. Yet, in the same way that Freddy is vulnerable, and can be bested, it is also possible that your own plans and pawns can be struck down (temporarily) by clever players. That's part of the fun, after all. A good Referee is like the unstoppable psychopath in a slasher movie. Of all the RPG books I own, bestiaries are my favorites. I love a good monster collection. I've no patience for creatures like unicorns or blink dogs, though; they're always re-imagined as sadistic predators in my world. 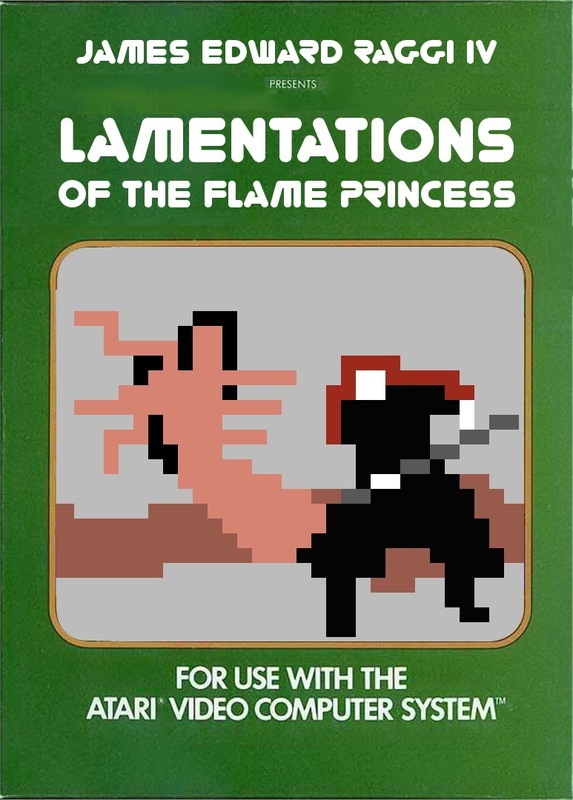 Small wonder that I wound up a Lamentations of the Flame Princess enthusiast. Today, I still derive inspiration from horror movies. The following flicks are excellent fodder for your LotFP game. Martyrs -- A young woman takes revenge on the people who tortured her. Or does she? Of all the movies in the New French Extremity, this is my favorite (narrowly edging out Inside for the top spot). Looking for violence, torment, and horrific revelations? The delivery of the narrative in this flick is terrific. The Descent -- A group of women go spelunking. They find something down below. I've used many of the set pieces during dungeon crawls and cave exploration sequences. Excellent details that you can lift for your game, and terrific sound design. [REC] -- A group of people trapped in a dangerous place? Sounds like a lot of the games I've run. This movie's level design is top-notch -- characters go up and down the stairs at the center of this apartment building, and each time they do, the situation is altered dramatically. Absolutely terrifying film. The Mist -- Ordinary people in a small town are menaced by entities in an unnaturally dense fog. This is a story about human monsters: fools, fanatics, and angry mobs. Don't let anyone spoil this for you: the movie is good, and the monsters are all splendid. That's all you need to know. The Host -- One of my favorite monster movies of all time. Armed with metal poles, burning oil, and a longbow, four people explore a subterranean lair in order to defeat a giant monster. As adventure scenarios go, it's perfect. Powerful action, dreadful scares, and none of that Cloverfield jive — this is a monster movie with guts. So where does this all take me, thirty years down the road? I'm working on a new monster compendium for LotFP. I've already contributed 50 monsters to the Referee book, but there are more -- a few derived from the myths and legends of my Peruvian ancestors, the rest dragged from the cesspool in the back of my mind. 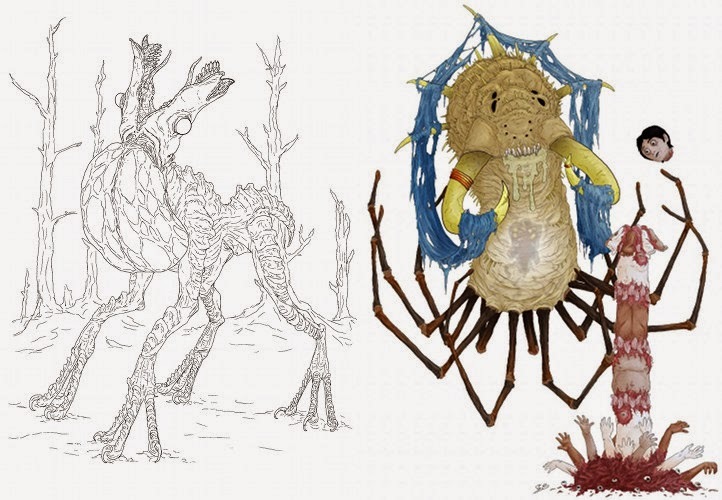 This new bestiary is called Lusus Naturae (Latin for "Freaks of Nature"), and it's predictably vile. The project funded on day 3, and with 72 hours left in the Kickstart, we're quite close to the stretch goal of full-color. Do you like your monsters to be merciless and horrific? Does your dungeon crawl (or city adventure, or random hexcrawl encounter) sometimes resemble a slasher movie? If so, then this might interest you.